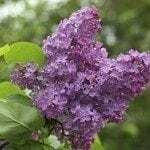 When is the best time to dig up a new shoot from a Lilac bush? I have several growing under my lilac bush. I would really like to reset some of them. Spring is an excellent time to transplant the lilac shoots.